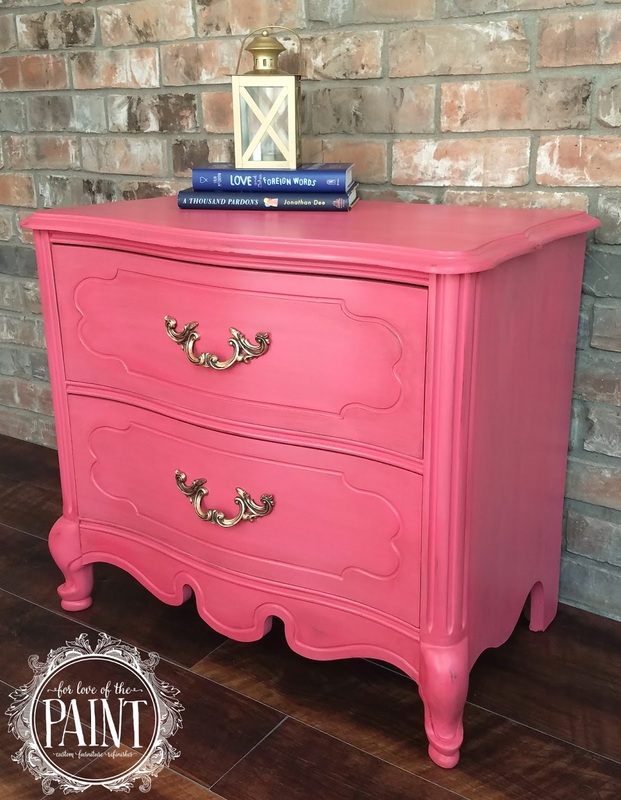 I have been absolutely obsessed with the idea of painting something in coral! 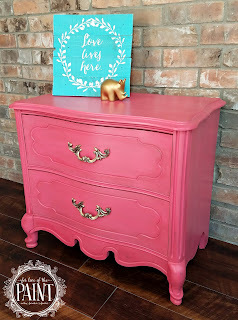 It is super chic and totally on trend, and I *love* gorgeous, vibrant colors! 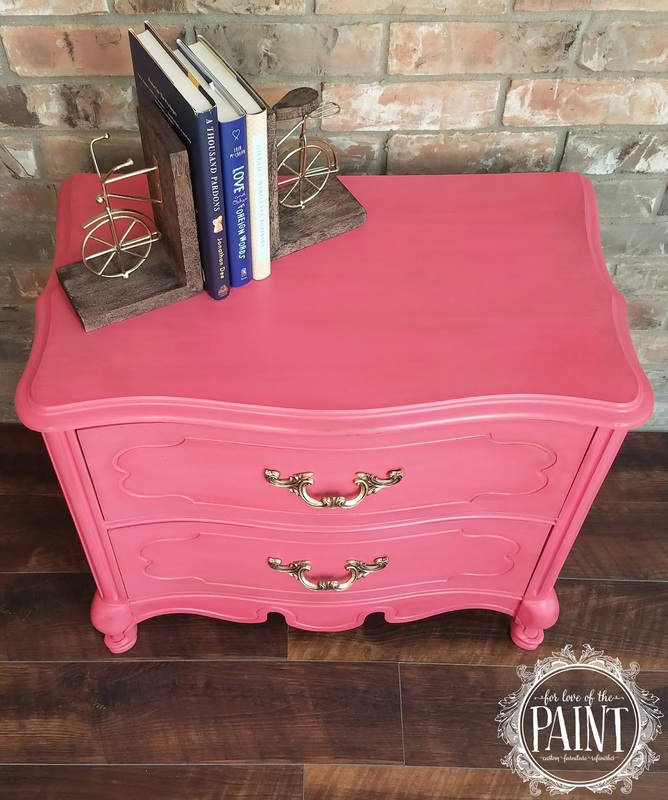 For this piece I used General Finishes Milk Paint in Coral Crush. 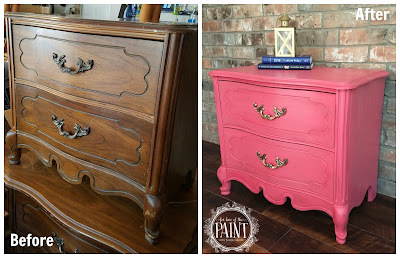 The Before and After is such a HUGE change, it almost doesn't look like the same piece! Isn't that transformation dramatic?? It always had clean, classic lines, but they have been given a revamp for the 21st century, and I couldn't be more pleased! Read on for more on how we got this look! When I first started painting, I was a little unsure of the color. 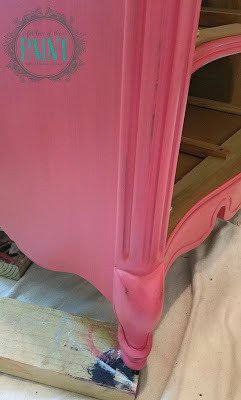 It seemed to be hot pink, and even fluorescent. (My husband called it FLA! mingo.) But since I had been so set on trying it out, I wanted to see it all the way through, and I'm so glad I did! 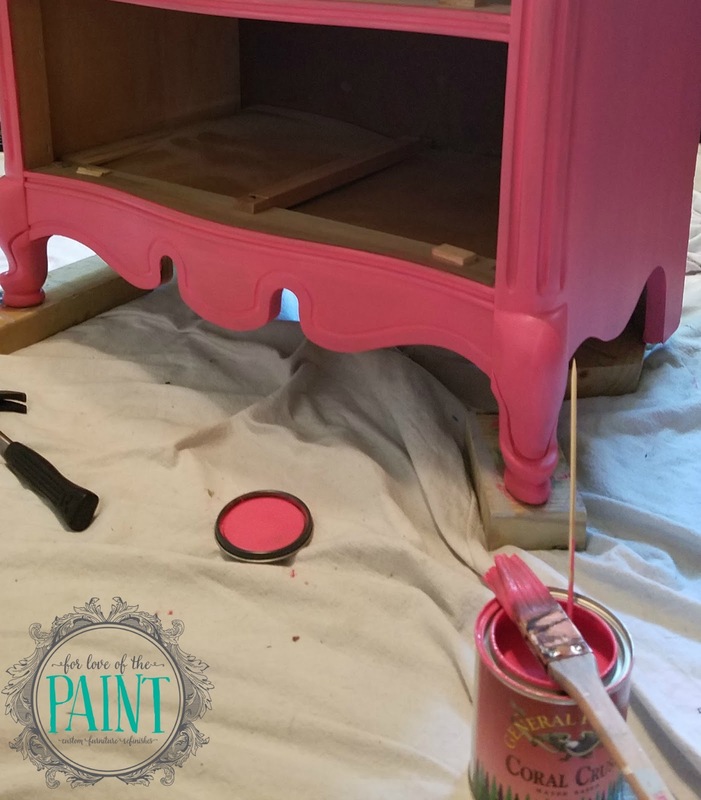 After I used two coats of the milk paint, I started distressing at high points and edges. 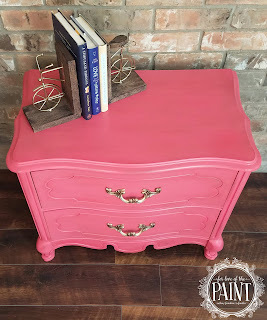 To neutralize the color just a touch, I also followed with a Coffee Glaze by Pure Earth Paint (just because I had this on hand - General Finishes also makes some beautiful glazes!). I first painted on and wiped off the excess glaze, then came back and strategically dry-brushed additional glaze for an overall gently weathered vintage look with just a nod to shabby chic style. 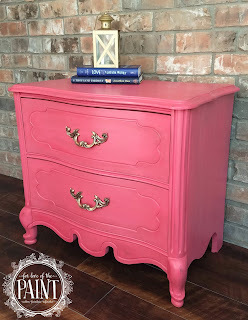 One thing I really love about the General Finishes milk paint in particular is the silky smooth feel I get from it. You can really see this from the photo below! I brightened the hardware just a touch with Rub n Buff in Antique Gold. I absolutely love this stuff. It dries super fast, so I apply it sparingly and as quickly as humanly possible. Much like with paint, I would rather come back to areas that need more than end up accidentally pushing it into the recessed areas and having a difficult time removing it. Now let's talk about accessories! Staging this piece was tricky because I have way too many ideas. 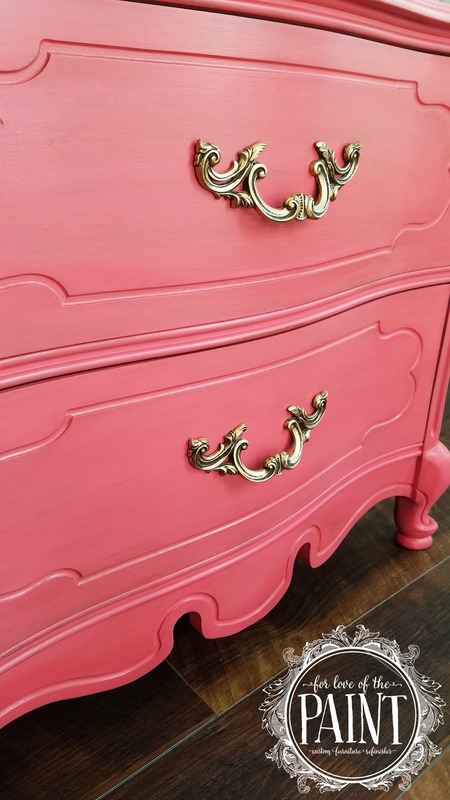 I love coral with both aqua and navy, and I have tons of small gold decor to help bring up the color from the hardware. Which look is your favorite?? I'd love to hear from you!